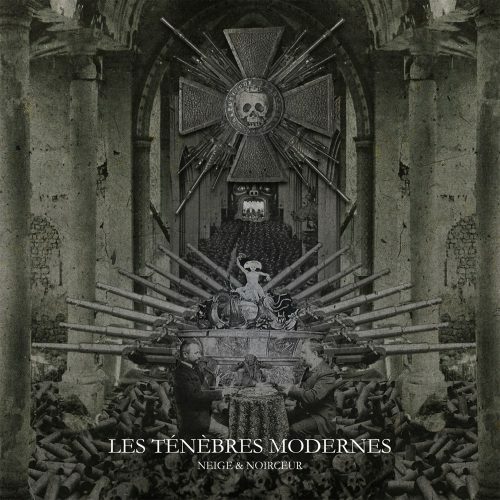 Currently viewing the tag: "Les Tenebres Modernes"
"Beginning with the assassination of Archduke Franz Ferdinand of Austria, the atrocities brought forth from the first World War were heinous and grotesque. People getting killed in trenches (sometimes mistakenly by their own allies), the introduction of chemical warfare, and the starvation of both prisoners of war and civilians rounded up by the Central Powers would make for some fertile ground for metal bands to sow. One such band, Quebec's Neige et Noirceur, decided to take one of the bloodiest battles in the history of the world and create a 40-minute tale of war, death, and various repressed emotions in the form of their fourth album, Les Ténèbres Modernes." War metal from Canada? That just seems weird.